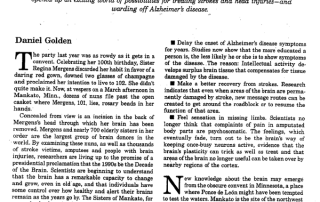 Doctors and medical professionals frequently write about the advantages of crossword-solving as a beneficial form of brain therapy. 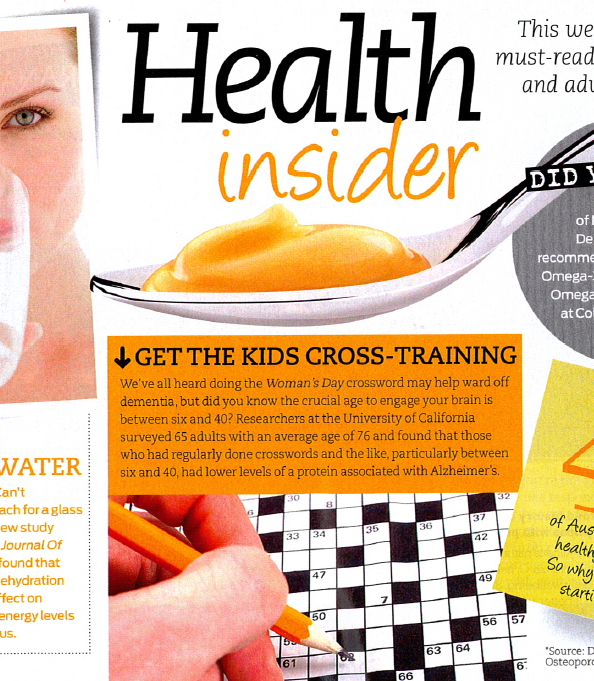 Readers also write to tell us about the good effects that our puzzles had on their recovery after strokes etc. Here are some of the articles and feedback we've received. We'd also love to hear your story or receive additional articles you may come across in the media – please contact us here. 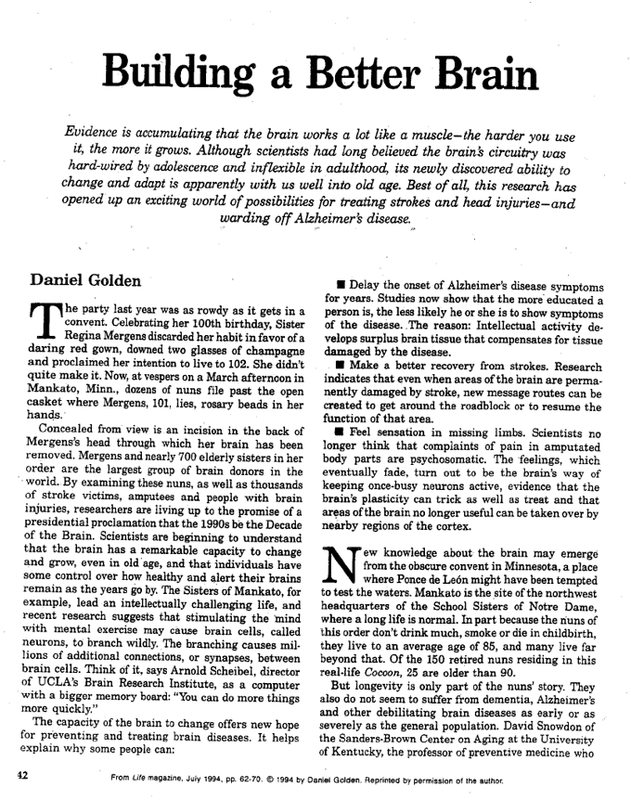 What’s the crucial age to engage the brain to help ward off dementia? 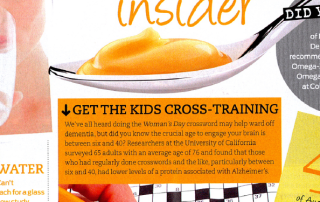 We’ve all heard doing the Woman’s Day crossword may help ward of dementia, but did you know the crusical age to engage your brain is between six and 40? Life insurance companies devise tests to help them gauge how long their clients will live. So it is important to get it right. Some questions examine whether their clients involve their minds in any activities. “I first came into contact with Lovatts Crosswords during a stay in hospital. I was then ten years old. I was taken to Dubbo to have my appendix out and was placed in the childrens ward. I was the oldest by about seven years.